Post #64 Poll Winner: Favorite Iron Maiden album from the 80's. As the 1980's began, Iron Maiden embodied the (New) Wave of British Heavy Metal. The movement had begun a few years earlier with bands like Judas Priest & Diamond Head, but Iron Maiden seemed to symbolize the perfection of this metal style. Dave Murray & Adrian Smith, quickly became one of the tightest guitar tandems in heavy metal in the 1980's. 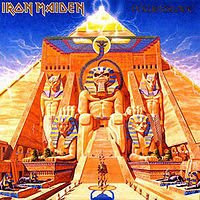 Maiden's '84 release, Powerslave, may be the apex of their golden years. After years of alternating guitar solos in one of the world's most popular heavy metal band, Murray & Smith are again at the top of their game on this album. This is, coincidentally, the last album Iron Maiden recorded without any accompaniment by keyboards or synthesised guitars. The World Slavery Tour that supported this album was the most extensive tour the band had done by this point. It resulted in their first live album, Live After Death. 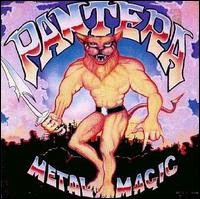 PANTERA: They were almost single-handedly responsible for the rise of hard-core heavy metal in the 90's. My discovering of their music represented a phase-shift in my taste in heavy metal at the time. I had heard a few of their songs hanging out with friends who were into them; "5 Minutes Alone" and "Cemetery Gates" were probably the first songs I ever heard. One day I was at a music store and I was pissed off for some reason, and I just grabbed "Far Beyond Driven" off the shelf and purchased it. 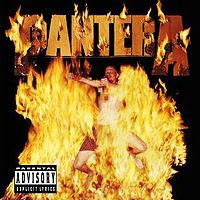 Man, there's no better time to listen to a little Pantera than when you've got a bit of anger to unleash! Ever since, Pantera has been an essential part of my collection of Metal music. I count myself as lucky to have had the chance to see them live in concert for 2 obvious reasons: first; because they eventually broke up; and second because Dimebag Darrell (lead guitarist) was brutally shot to death (December 8th, '04) by a deranged person claiming to be a "fan". Any great metal songs he may have gone on to write, or shows he would have performed with whatever band he chose to be in were senselessly stolen from us, the fans, by one violent person with a gun. I'll try not to dwell on that depressing subject, but rather celebrate the glory of the excellent metal music that is Pantera! 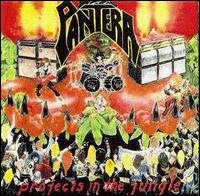 Projects in the Jungle ('84) Pantera's 2nd independent release. This is the earliest album that I have in my collection, and it's combined on a CD with the next album. It is apparent on this recording that Dimebag Darrell was allowing 80's metal bands like Van Halen to influence Pantera's music. 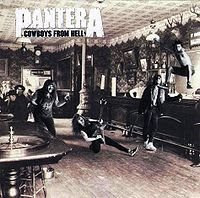 Cowboys From Hell ('90) Pantera's major-label debut. This album is packed with shredding riffs and no-holds-barred lead guitar solos that truly establish "Diamond" Darrell as one of the best young guitarists in all of heavy metal. Anselmo blends dark melodies with tempered screams and guttural roars on vocals. As a band, they've begun to establish a new, heavier style of metal that in the next several years would become known as Nu-Metal. 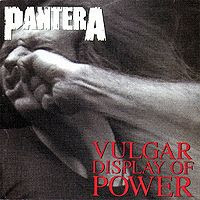 Vulgar Display of Power ('92) Regarded by many fans as their best album, Vulgar Display was the album that truly established Pantera as a titan in the world of heavy metal. They took the most aggressive elements from "Cowboys" to new heights of brutality with this album. 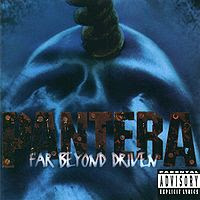 Far Beyond Driven ('94) This album is where the planets truly aligned for Pantera: it became the first heavy metal album to debut at #1 on the Billboard charts. It is a non-stop display of relentless brutality that seems to never let up... until you reach the final track... a cover of Black Sabbath's head-trippy "Planet Caravan". 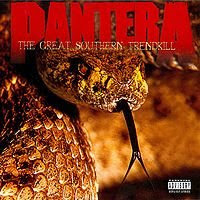 The Great Southern Trendkill ('96) With this album Pantera kept rolling with their own style of metal, going against the trend of bending toward the alternative/punk-pop metal (like Metallica did?). 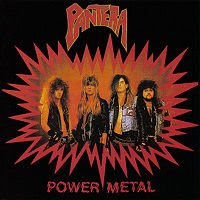 However the irony of this album's title is that by this time, other bands had begun to follow Pantera's trend for the more extreme style of heavy metal. By this time you could say they were trend-setters, not trend-killers. 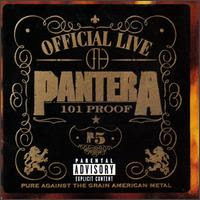 Official Live: 101 Proof ('97) Finally a live album from Pantera! This albums captures the band's live-performance energy at the peak of their success. It is also at this time in their career when I finally made it to see them in concert myself. I'll be sure to review that show in another post soon! Reinventing the Steel ('00) Pantera's final studio-album before they would part and go their separate ways... and fate would steal Dimebag from us all and end any chance of hearing this band play together again. 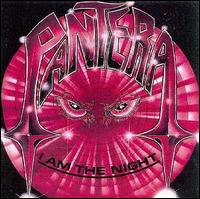 The songs on this album may not be the best of Pantera's career, but they are consistent with what fans would expect from Pantera. There are plenty of good songs to hear on this album. 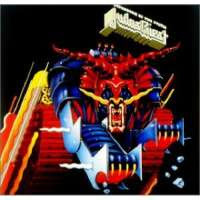 Post #62 Poll Winner: Favorite Judas Priest album from the 80's. The 1980's saw a rise in the popularity of heavy metal music. The genre diversified into Pop/Hair Metal on the more mainstream end of the spectrum, and Thrash and Death Metal at the other, more extreme end. For most of the 80's Judas Priest stayed right in the middle of the road, clinging to the fundamentals of heavy metal music. One of the few (N)WOBHM bands to perservere throughout the decade, Priest stayed true to a classic style of heavy metal. Rob Halford's versatile voice gave them the freedom to write heavy metal songs of a broader variety than many of their peers. Many of their songs are credited as being the groundwork upon which thrash metal grew, while others seemed to sound like they were pushing for the mainstream of pop-metal. Whether you like the harder edged music of Judas Priest, or the radio-friendly hits they created during this era, it is hard to argue against their consistency in the 1980's. The band seemed to grow more confident with each album. As a result, some of their best work can be found on these albums. 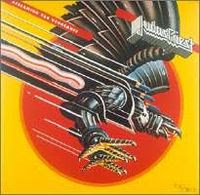 When it came time for you to choose a favorite Judas Priest album from the 80's, the poll ended in a tie. Screaming For Vengeance and Defenders Of The Faith are both deserving of this award, so I'll recommend songs from them both!